It’s National Volunteer Appreciation week! The presence of our volunteers at Portland Rescue Mission is such an invaluable part of the work we do on a daily basis. This past year, our volunteers served over 25,000 hours at our various locations. If you’re considering volunteering, here are four reasons why you should join us! 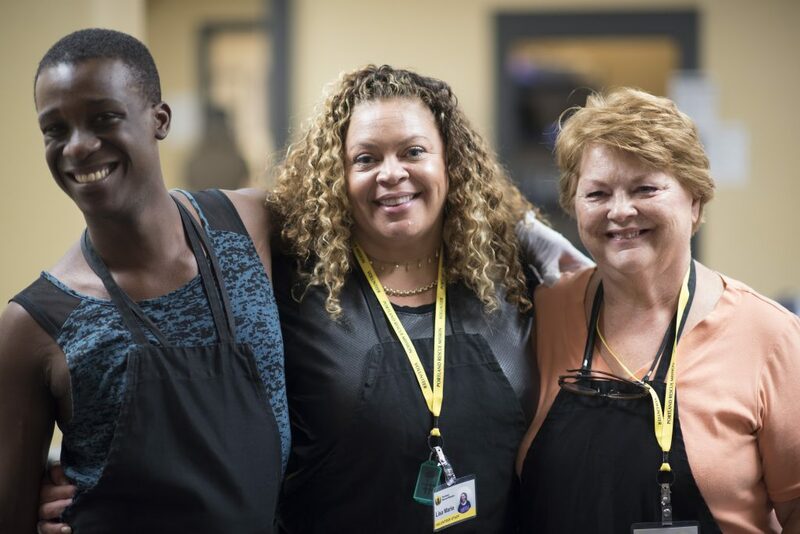 When you volunteer at Portland Rescue Mission you join a community that is changing the face of pain, addiction, loneliness and homelessness. It takes hundreds of people to make this work possible, each person with their unique gifts. Share your passion or your hobby with the men, women and children in our programs. Do you dance? Teach martial arts? Love art? Want to cook? Can you landscape? 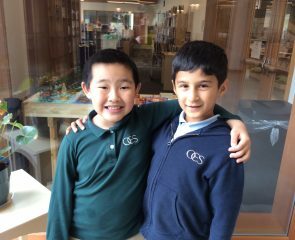 If you love science, outdoor sports, calligraphy or mentoring––Whatever your gift, we need you! Bring what you love and come help us give hope and restore life. Statistics say that around 4,000 people are living homeless on the streets of Portland, with women and children being the fastest growing segment of the homeless population. When you volunteer with Portland Rescue Mission, you get to meet some of these people, and help them walk towards a better life, a new story. We need men and women willing to mentor or simply lend a listening ear to those that come to us. We are always looking for neighborly-minded individuals, ready to roll up their sleeves and come serve a meal! We have four locations you can volunteer at: Shepherd’s Door (for women and children), The Harbor (for men), Drive Away Hunger (car donation and sales) and the Burnside Shelter (immediate assistance for men and women facing homelessness). 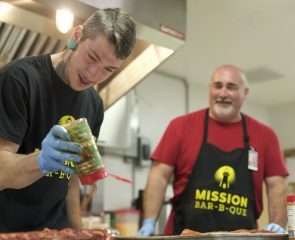 And while you’re at it, check out our Employment page for the latest job openings at Portland Rescue Mission! Hope is relational. People’s lives are changed when they encounter other people who care. We see this everyday. When you come volunteer with us you will see men and women become happier, healthier people. “I have seen transformation when a guest comes in hopeless. They’ll receive a pair of socks or a toothbrush, a kind word, or a piece of mail from home, and they’ll leave more blessed then when they came,” says Alex Pavlenko, volunteer at the Burnside Shelter. If you love to see transformation, this place is full of it. Come see for yourself. Portland Rescue Mission has been serving the men, women and children in our city since 1949. 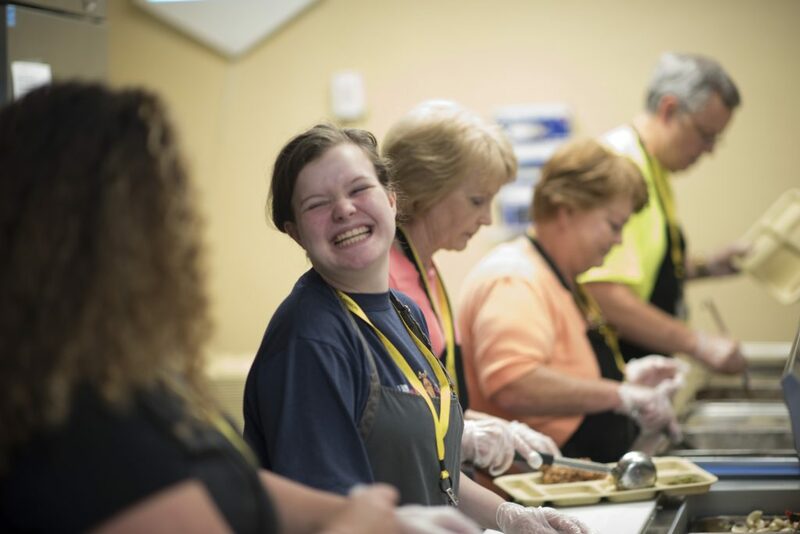 Each year, we are serving over 330,000 hot, nutritious meals and 80,000 nights of safe shelter. Our heartbeat is to give hope and restore life, to see men and women take the next step towards a life off the streets, free from addiction and restored in relationships with those around them. If that’s your heart too, we want you. You won’t be the same when you volunteer at Portland Rescue Mission. Not only will those you meet be touched by your kindness, but our volunteers are changed by the experience of serving as well. Come be part of the story of Portland Rescue Mission. Just be warned, your life might be transformed as well. APPLY HERE.